Food safety is an increasing health issue throughout the world. This is especially true in emerging geographies, where industry regulations often struggle to keep up with escalating demand. According to the Institute for Agriculture and Trade Policy, dairy consumption in China is expected to increase 38 percent by 2022. This has challenged the country’s dairy infrastructure and created fierce competition among producers. A few years ago, thousands of adults and children became ill after consuming milk products containing the toxic chemical melamine. DAC is working to enhance the health of China’s dairy industry, and Agilent is helping. 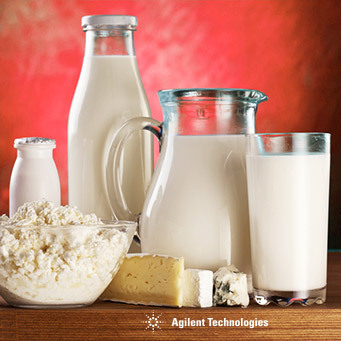 The Agilent Technologies Foundation recently awarded DAC with a $1 million grant to support dairy product safety. Agilent’s foundation operates as a separate legal entity from the company. To prevent any conflict of interest, no funds will be used to purchase equipment. Instead, the grant will help DAC develop quality tests, safety standards and related training to address the entire range of dairy safety from production through distribution. “This project holds great promise to significantly increase the reliability and safety of dairy products for children throughout China,” says Agilent’s Cynthia Johnson. The Agilent Foundation supports Agilent’s global objective to be an economic, intellectual and social asset in the countries and communities in which it operates.